What is a Company Dispute? We passionately believe in Justice. We help David against Goliath. Our Clients have often been seriously wronged by the Legal System. We will take on a legal battle where others walk away. We have access to the country's greatest lawyers nationwide. If you have a good case, we will try our best to help you. We tell you "as it is" and definitely don't pull our punches. We provide, wherever we are able, a FREE INITIAL ASSESSMENT of your legal issue - without any obligation. We also don't expect you to pay ridiculous hourly rates.We are realists and have a compassionate attitude. 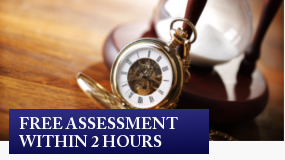 We will give you whenever possible your FREE ASSESSMENT and only then will you decide if you wish us to seek a barrister's opinion as to the suitability of your case to a NO WIN - NO FEE ARRANGEMENT for which we will agree a small fixed fee in advance. This is generally the only fee you will pay us.You remain in control of your case. We will only be willing to refer it to a barrister if your case appears to have real prospects of succeeding. It is your decision. You are under no obligation. If winning matters to you, speak to us. 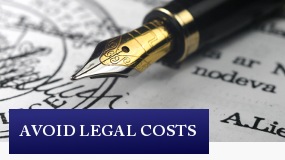 We have extensive experience in the legal profession. Our Managing Director was himself a practising solicitor for over 25 years. He now uses that experience to initially assess your case in his capacity as legal adviser. There can be serious injustices and you can be in a seemingly helpless position. If you have a good case, you need to know but, similarly, if your case is going nowhere, you also need to be told directly. We are available to help you 24/7, so you'll always know what's happening with your case by emailing us at any time. We fight for the justice that you deserve. We can generally tell if you have a good case in only 2 hours. This service is completely free of charge and with no obligation. We don't waste your time or your money. See how we compare with the standard legal procedure here. If you have any questions about our service, find out the answers here.